Our experienced team can turn your old bathroom into a welcoming retreat with our efficient and affordable bathroom remodeling services. 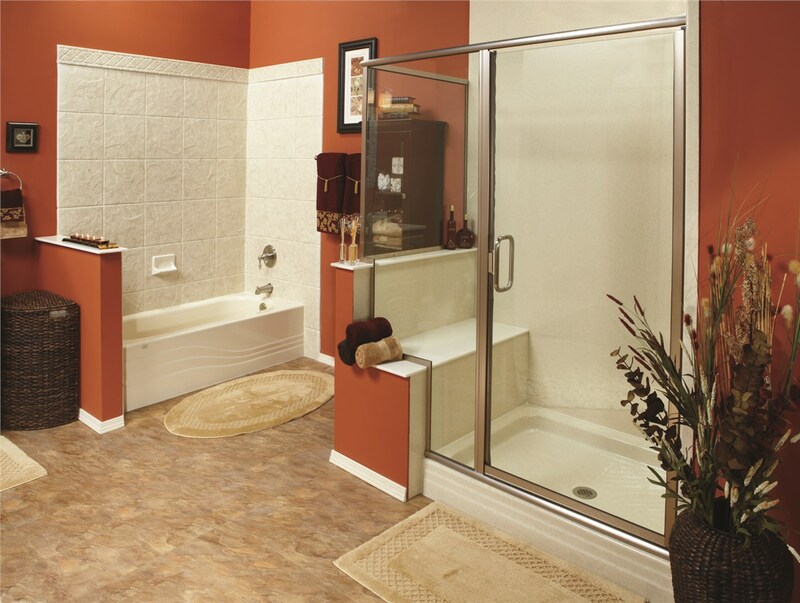 Offering two day bath remodels and complete bathroom remodeling services for homeowners across north Texas and southwest Oklahoma. 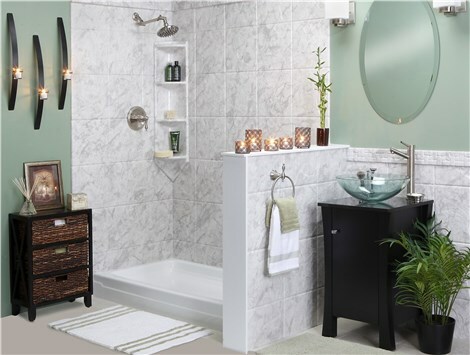 If the bathroom in your home has been damaged due to water and mold or it’s just stuck in a fashion rut, then it is time to let the master bathroom remodelers at Luxury Bath Texoma bring it up to date! Our experienced bathroom remodeling company will work with you to design and install the bathroom of your dreams – at a price that fits within your budget! For over 25 years, our expert remodelers have helped hundreds of customers remodel their bathrooms with quality products and superior workmanship. At Luxury Bath Texoma, we will work tirelessly to ensure your project is completed on schedule. 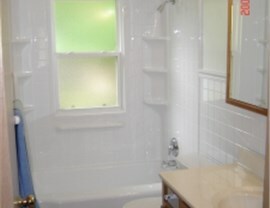 From modern jetted tubs to traditional showers and conversion options – we can do it all! 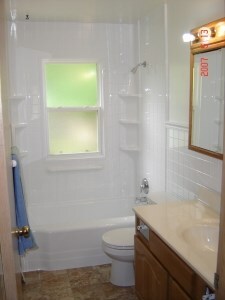 We understand that having a bathroom under construction can be a burden, and our professional installers will get the job done quickly and efficiently! 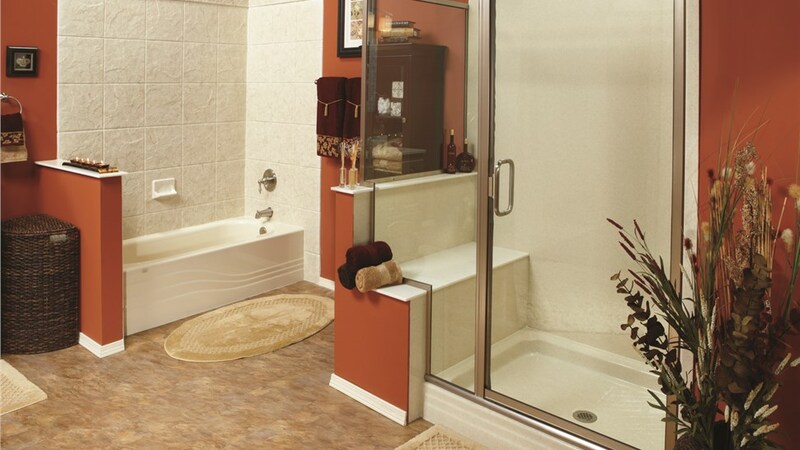 Two Day Bath Remodel – Whether you need a replacement tub, tub-to-shower conversion, walk-in tub or any other innovative bath product, you can rely on our expert remodelers to deliver professional installation with the highest quality service. 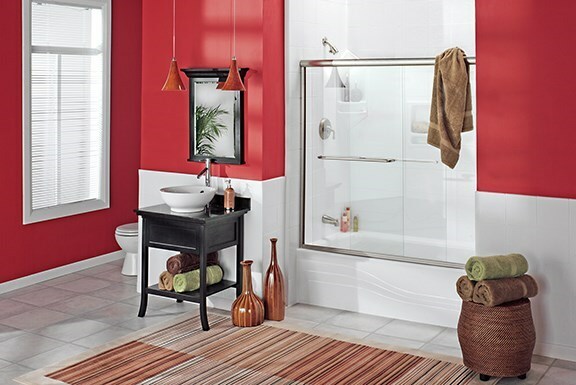 Start your remodel and enjoy your new bathroom in just two days! Bathroom Contractors – Our bathroom remodeling company has the product selection and expertise needed to make your bathroom a showpiece. Rely on our experienced, certified contractors to provide unsurpassed design and installation services for your two day bath installation or a complete bathroom remodeling project. We want your new bathroom to last for years to come, and we offer ecofriendly, Microban products that you can count on for durability, style, and functionality. From design and product selection to final installation, we guarantee your bathroom renovation will exceed your expectations. 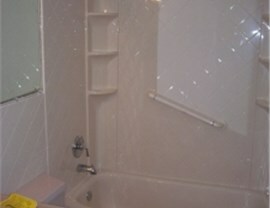 Master Bath – Relax after a long day in the beauty and comfort of a newly remodeled master bath! Family Bath – Protect your family with our Microban line of exclusive bathroom products! 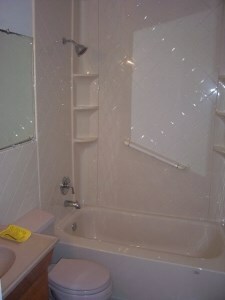 Small Bath – We will help you choose custom products to highlight the space of your small bathroom. The sky is the limit when it comes to the design options available when working with complete bathroom remodeling experts and certified Luxury Bath two day bath installers. 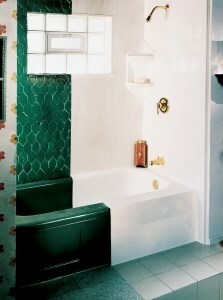 Call us or stop by one of our showrooms to discuss your bathroom remodeling needs today!